AFTER years of slow sales for sports bikes the market appears to be picking up a little – thanks in part to new machines like the 2015 Yamaha R1 – but it seems the 1000cc machine isn’t going to be followed with a similarly revamped R6 just yet. 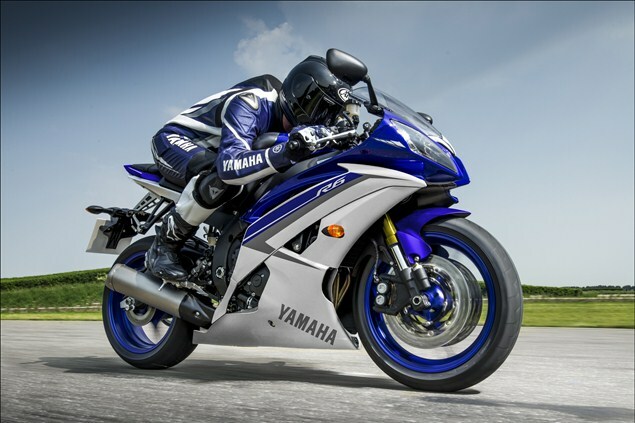 Yamaha has filed another batch of emissions documents with the California Air Research Board (CARB) for its 2016 line-up, including one for the R6. And it shows that next year’s bike, at least in California, will be identical to the current one apart from a set of new colours. There’s still a slight chance the existing R6 could be joined by a new model in 2016 – if rumours of a 675cc three-cylinder are to be believed then it’s possible the old bike will still be sold alongside it. But the likelihood is that Yamaha is waiting until the 2017 for any updates to what is now one of the oldest bikes in its line-up. From January 1 2017 all new bikes in Europe will have to meet Euro4 emissions rules and have ABS; the R6 doesn’t meet either requirement, so a revamp or complete replacement at that stage is inevitable.